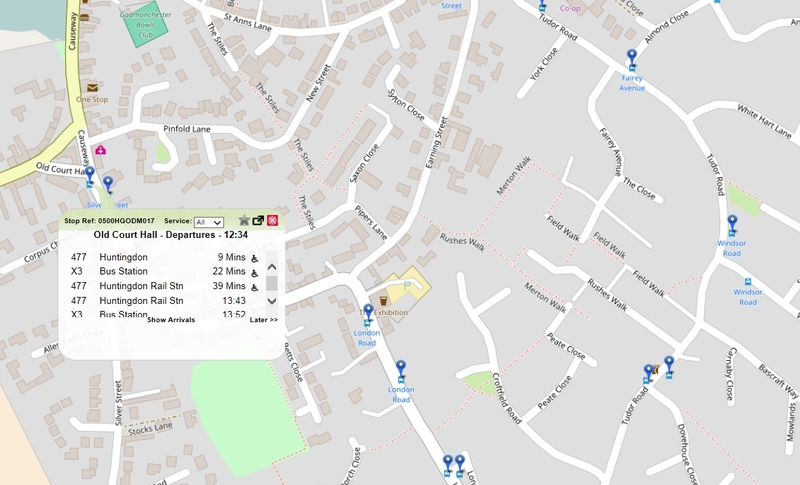 Cambridgeshire County Council has invested a lot of money in to Real Time Information (RTI). There are three main ways to find out when your next bus is due using the RTI system. You can see examples of each by clicking on the images above. 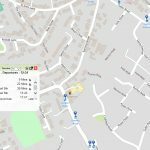 What is the difference between the way times are shown? 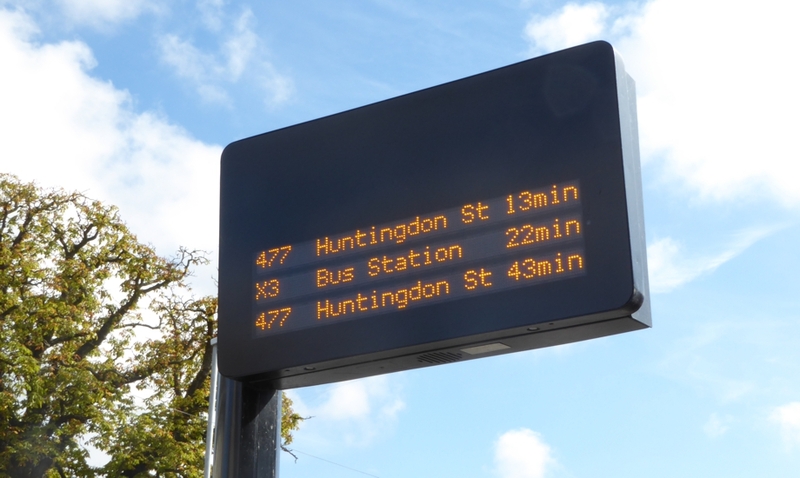 If the display shows a number counting down, e.g “13min”, then this means the bus is predicted to arrive in 13 minutes. The bus has been detected using GPS tracking and is on its way. The time will reduce as the bus gets closer and should change to “due” just before the bus arrives. 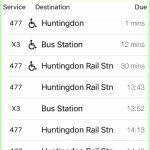 If the time shown is just the scheduled time, e.g “09:43″, then the bus has not been detected. 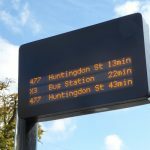 This does not necessarily mean the bus won’t arrive at 09:43 – It might be due to the journey being much later in the day and the bus has not entered service yet. Or it could be a defective piece of equipment on board the bus or an error in the information which controls the system. 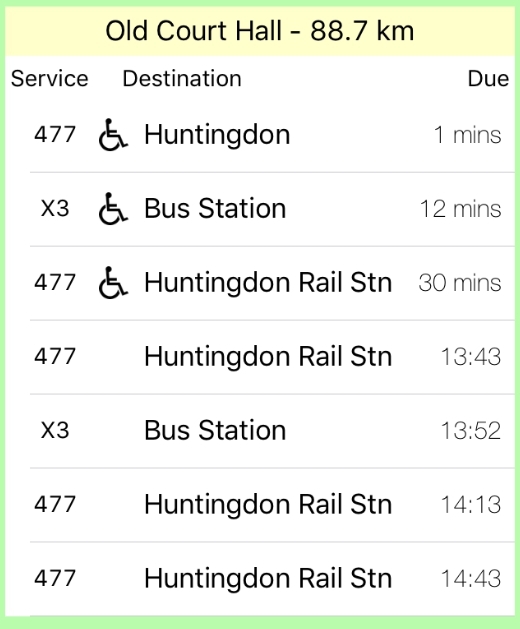 Under this scenario, the journey will disappear from the display at 09:44 as the system assumes the bus is running on time.